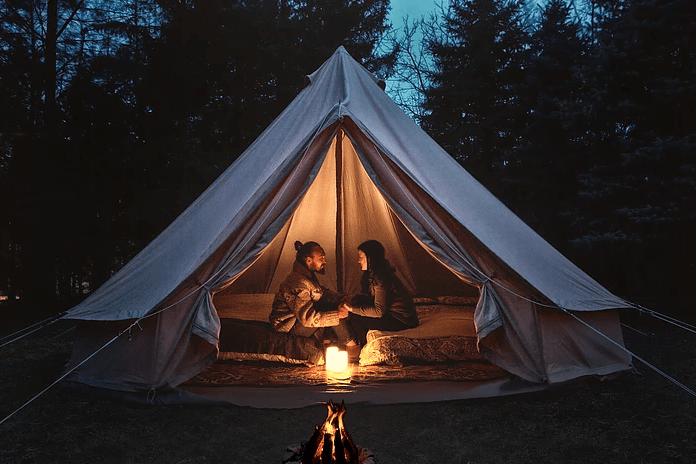 Glamping: just like camping, except way, way better.The best parts of camping are the moonlit walks, stargazing, roaring campfires with friends and cookouts. Worst parts? Roughing it in the heat (or worse, the cold), not being able to shower, and being low-key terrified about getting eaten by a bear. If you’re a camper at heart but maybe not in practice, glamping may be perfect for you. 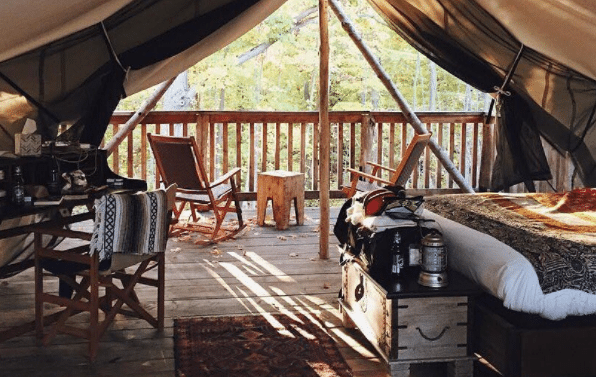 We’ve compiled a list of the best glamping areas within a six-hour radius of Buffalo, including spots across the border. Don’t worry- these glamping places don’t just use it as a buzzword. These are some seriously tricked-out cabins, tents, and tipis. Grab your best friends, a good amount of beverages, and your coziest blankets for your best (and most Pinterest-worthy) camping experience yet. 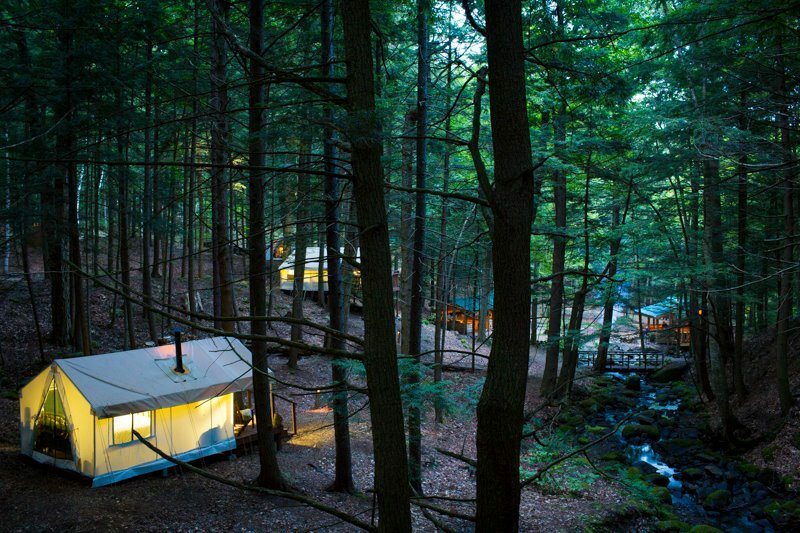 Yes, that is an actual photo of Firelight Camps, it really is that gorgeous. 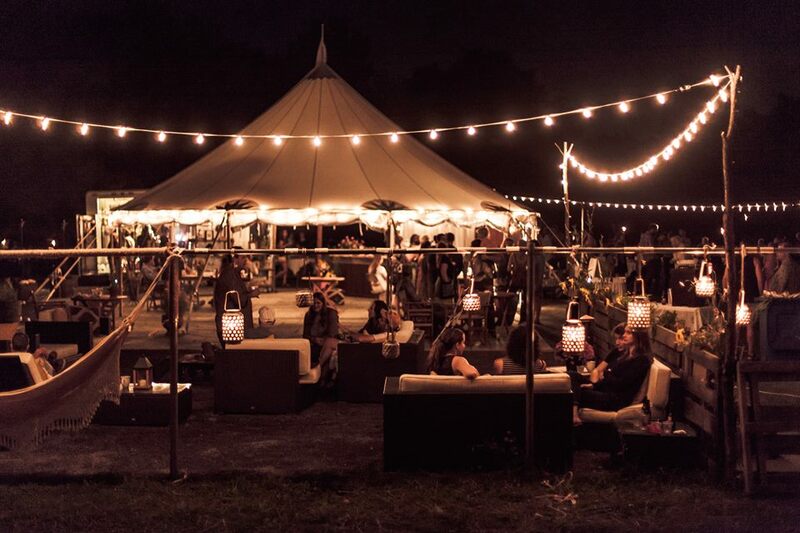 Located in beautiful Ithaca, Firelight has glam tent camping, so even though the tents look like they’re from Better Homes and Gardens magazine, you still get that rugged tent camping experience. The tents are elevated with hardwood floors, have “safari-style furniture” and even a balcony (okay so maybe not that rugged). Even better, they have a campfire where you can mingle with fellow glampers, a bar, locally-sourced complimentary breakfast and a spa/sauna. 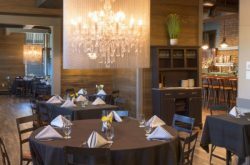 If all of that didn’t convince you to book a stay five minutes ago, note that it’s located near the Finger Lakes, where you can enjoy the scenic waterfront and wine trails. Nestled in Chestertown, a small town in the heart of the Adirondack’s, Posh Primitive takes glamping to a whole new level. They have large log and cabin tents with real beds and wood-burning stoves, and a bath house. The Adirondack’s have everything a camper would need- great hiking trails, lakes, stars. Go fishing in the lake and “catch your dinner” and they will even cook it for you! 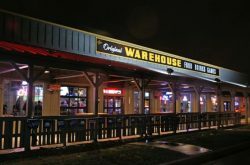 (Also worth mentioning- they’re dog-friendly). Airbnb is worth checking out for all of your tree house/glamping needs, but this tree house in particular tops our list. There’s something about staying in a decked-out tree house that will fulfill your greatest childhood fantasy. 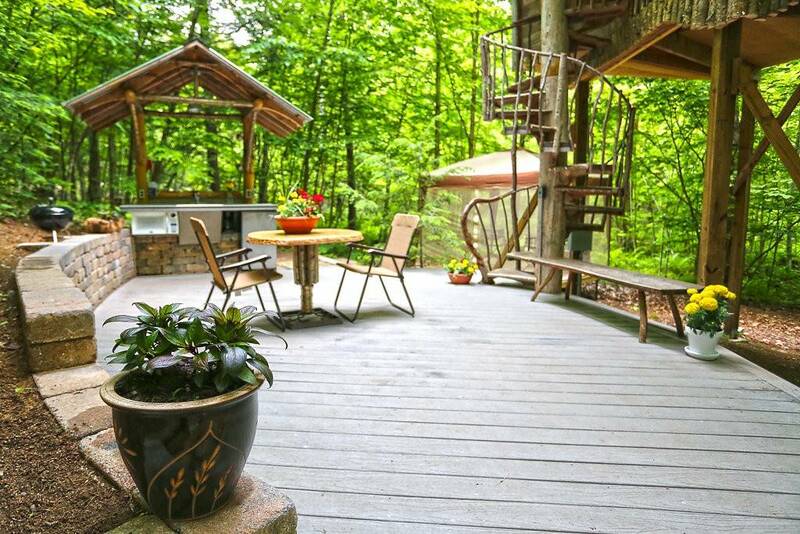 Just nine miles from Saratoga Springs, this adorable cabin has a winding spiral staircase to bring you up in the trees. It comfortably sleeps four, has twinkle lights and a large patio with an outdoor grill perfect for a chill night enjoying your travel buddy’s company. Blue Hills farm defines the term “rustic charm.” Their gorgeous elevated cabins have beautiful furniture, full bathrooms with spa jets, complimentary breakfast and electricity. This glampsite is surrounded by the Catskill and Pocono Mountains, perfect for hiking and kayaking. The hamlet of Narrowsburg is known for its arts and has cute little shops, art galleries, and live theater. Perfect for art lovers seeking a little bit of inspiration. Orenda, located in the Adirondacks, is the perfect retreat for nature lovers and health nuts. 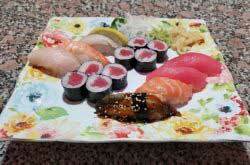 Not only do they have gorgeous cabins (all different sizes available too) but they also have all inclusive meals. 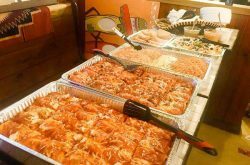 They provide “tastefully prepared, healthy cuisine” to guests and each meal is prepared on traditional cast iron griddles and skillets, using ingredients from local farmers and their own on-site heirloom garden. 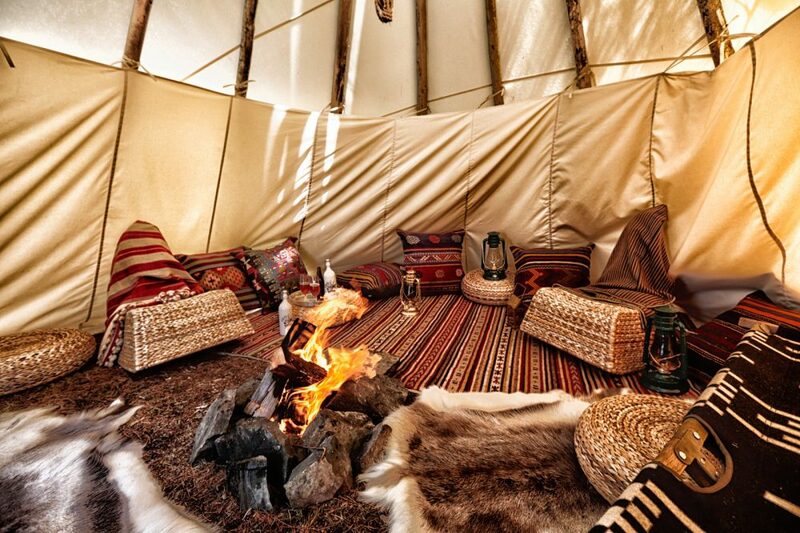 Hop across the border to the quaint town of Elora for a peaceful tipi glamping experience. Moonlight Glamping has it all; they throw events and weddings, can house up to 100 guests, and also can provide glampers with private chef and yoga services. The tipis are perfectly adorable as well, and the town of Elora has attractions such as zip lining and tubing. According to their website, one of Elora’s most beloved restaurant, Desert Rose Cafe even caters out for picnics or “glamping dinners” as they’re affectionately called. If relaxing camping isn’t your cup of tea and you’re looking for something a bit more action-packed, then Long Point Adventures is for you. Stay in one of their luxury wilderness suites or camping pods, and enjoy activities like zip lining, beekeeping tours, ax throwing (embrace your inner lumberjack), zodiac boat tours, and mountain biking. Even cooler- they have an on-site observatory for optimal stargazing. This glamping venue is so luxury, they won’t even tell you where it is. According to their website, it’s located at a “hidden lake 90 minutes as the seaplane flies north of Toronto.” Since that sounds like a troll bridge riddle, it means they fly you out there to a hidden lake. This is for serious glampers (with some serious money). No wifi, no electricity, and the glampsite only houses eight people. 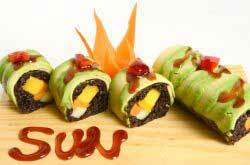 What do you eat? You’re in for a treat. They will prepare freshly made dinner with local ingredients including “wild Salmon from British Columbia, Oysters harvested from the banks of Prince Edward Island or organically raised heritage beef from rural Ontario.” This is the perfect place to go if you want to be connected with nature while still living in luxury and completely cut off from the outside world. Isn’t that the dream?